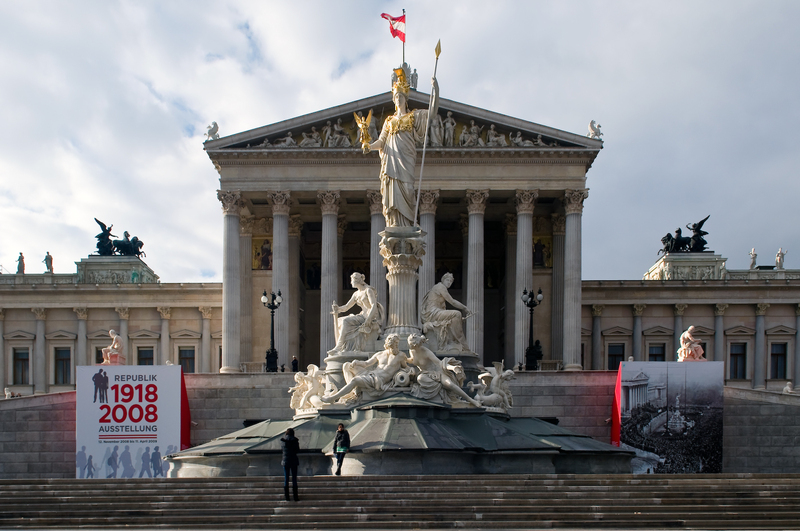 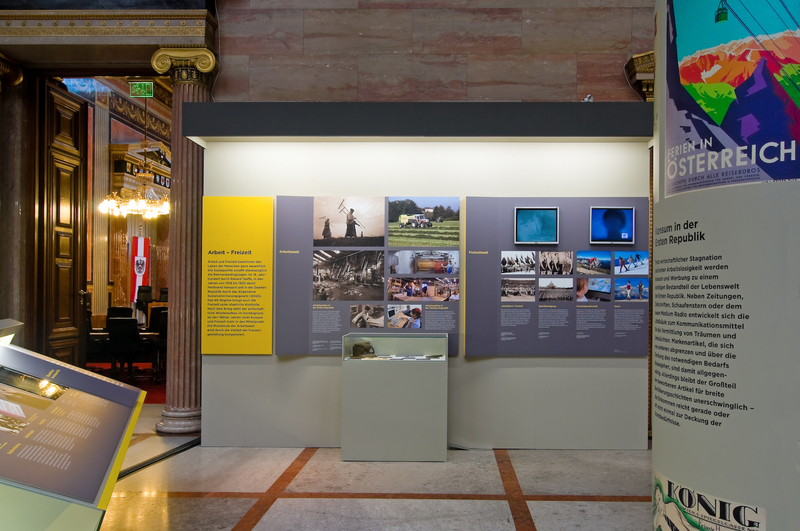 On the occasion of the 90th anniversary of the proclamation of the Republic of Austria, an exhibition was shown in the Austrian Parliament. 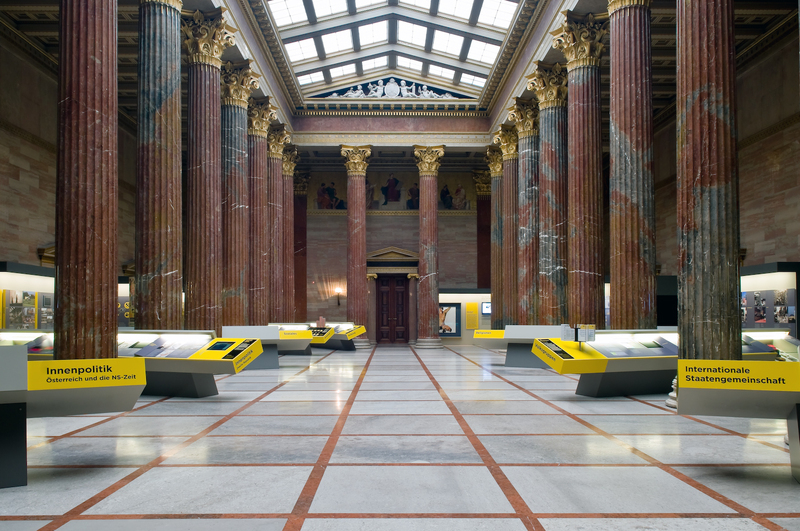 The main part of the show took place in the impressive Columned Hall. 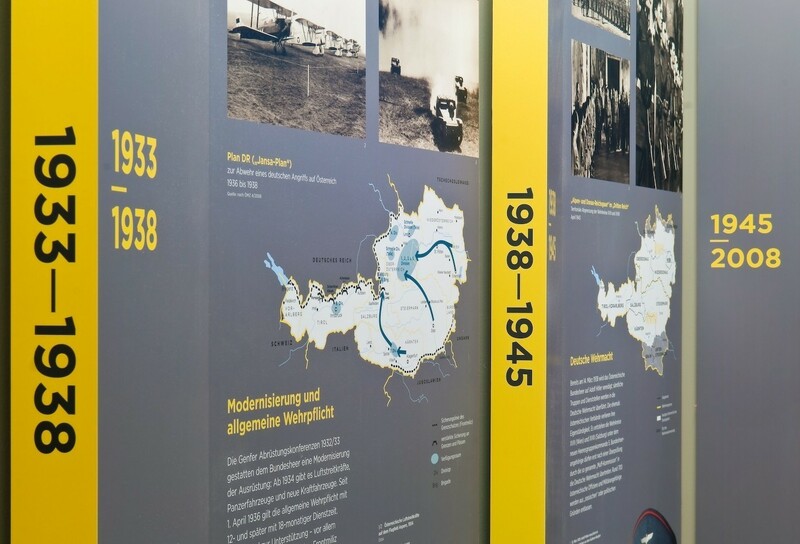 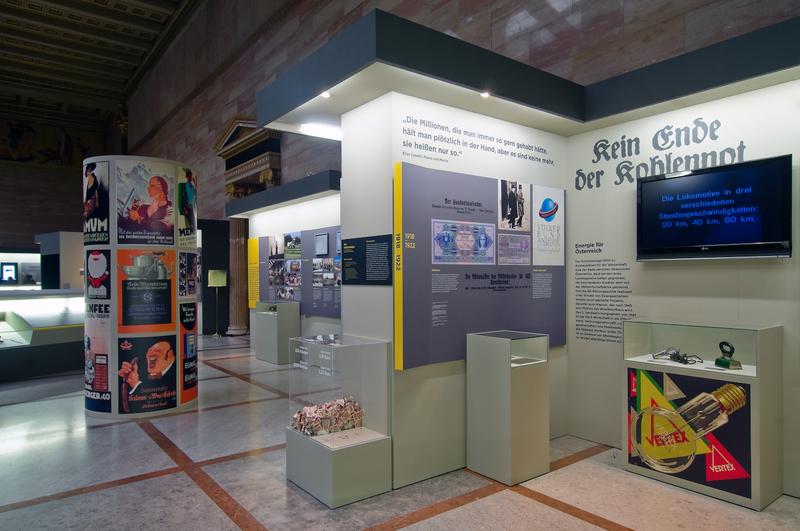 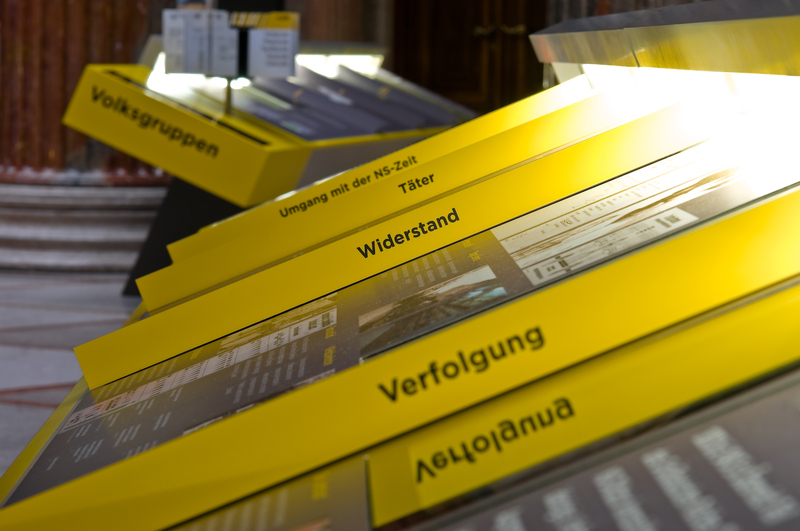 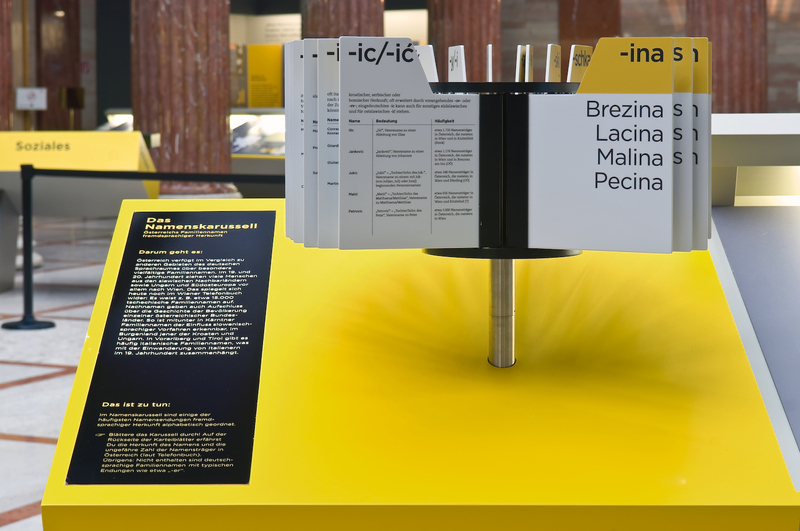 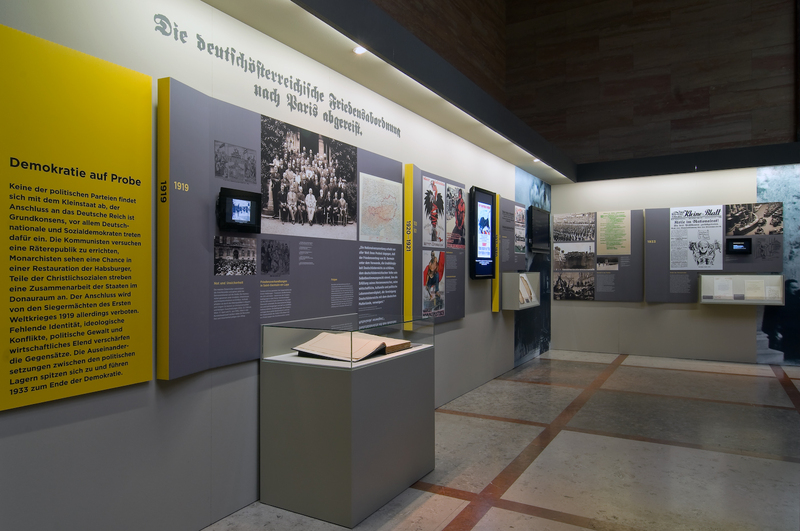 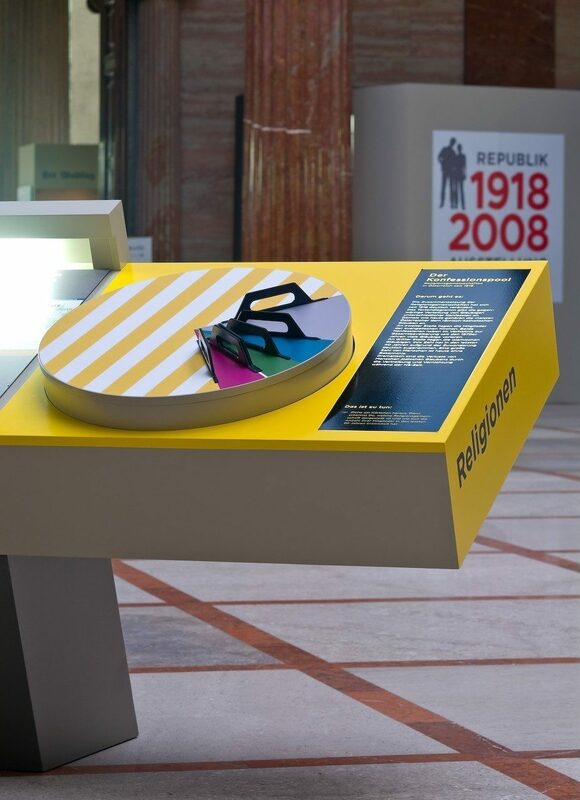 The exhibition design rolled out history chronologically on wall- and desk-panels, one for each main topic. 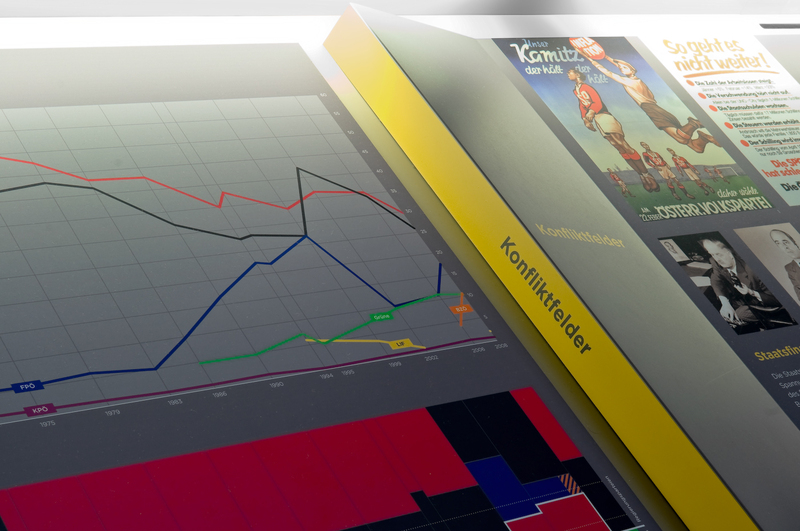 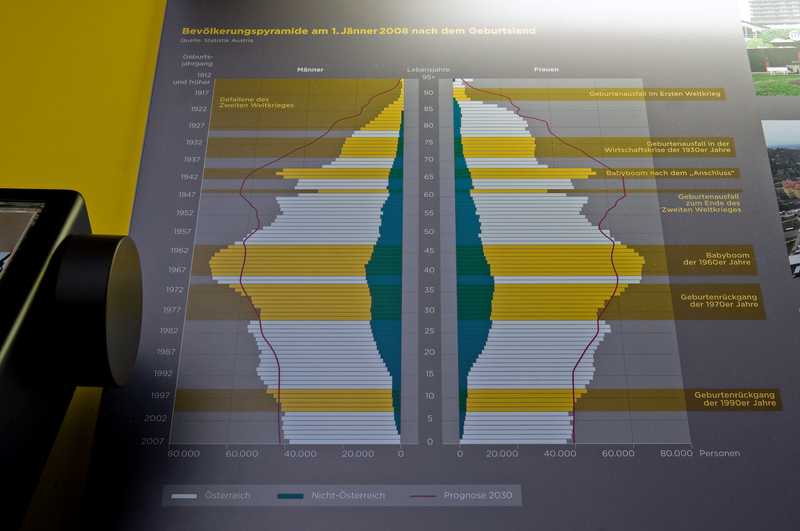 Significant historical breaches were symbolized by three-dimensional foldings, segmenting the timelines into several periods.